Name Change v. Gender Change: Presiding over a name change petition for an adult is a common occurrence for most judges. As long as certain legal and procedural requirements are met, approving the petition is usually simple and straightforward. This is true whether petitioner is male, female or transgender. A petition filed by a transgender person, seeking only a name change, is no different from a petition filed by any other adult male or female. However, in some cases, a petition filed by a transgender person may ask the court for an order changing the gender designation on the birth certificate. 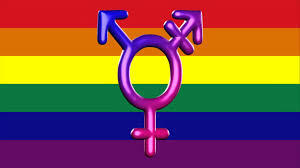 Amending the birth certificate to accurately reflect the gender with which the individual identifies, may be an extremely important step for a transgender person. This Training Update will explain when and under what authority the District Court can grant such a request (and will also discuss one additional option available to the petitioner). PROBLEM – CONFIRM vs. VACATE AWARD: One problem the Court of Appeals sees on a regular basis involves the District Court review of Arbitration Awards. Typically one side moves to “vacate” the award and the other side files a separate motion to “confirm” the award. According to the Court of Appeals, in many cases where the court denies the motion to vacate, judges frequently neglect to rule on the motion to confirm the award (or in absence of a motion, fails to sua sponte confirm the award). 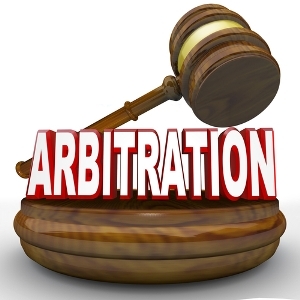 An appeal can only be taken from a judgment that “confirms” the arbitration award. An order that denies a motion to vacate (but fails to “confirm” the award), leaves the case “hanging” and no appeal can be taken. This one page Update states the problem, identifies the applicable statute, applies a solution in the form of a Judicial Best Practice and provides Court Administrators with advice on how to avoid the problem. 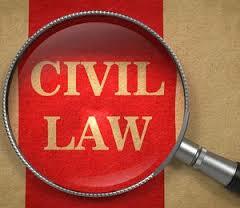 PROOF OF SERVICE – URBAN MYTH: Many years ago an entire generation of judges and court administrators were taught that in order for a party to establish proof of service in conciliation court cases, the serving party was required to file an affidavit of service by certified mail with the post office “return receipt” attached. (i.e. 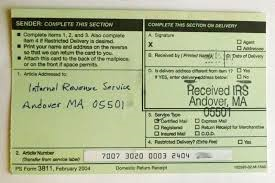 the green colored return receipt) confirming that the certified mail statement of claim and summons had been claimed. THAT IS A MYTH. THERE IS NO REQUIREMENT THAT THE GREEN RETURN RECEIPT MUST BE FILED.